On January 6th, the Baseball Hall of Fame announced that two stars from my childhood had received enough votes to be enshrined in Cooperstown - Mike Piazza and Ken Griffey, Jr. The following day, #FavoriteMLBPlayersOfMyLifetime was trending on Twitter. Since baseball is the greatest sport ever, these two events prompted debates in my head about my favorite players that I have had the pleasure to watch. As it is now months later and Opening Day is right around the corner, I clearly took my time in digesting this information. The result of all that gear-grinding is two posts covering two distinct categories - my favorite players who are currently active in MLB and my favorite players that have retired from the game. Today, we dig into the actives. 10. 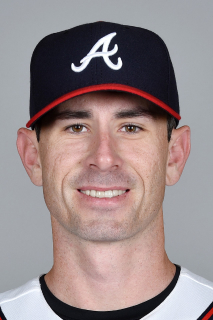 Brandon McCarthy, SP - Los Angeles Dodgers - I can imagine that if you polled baseball fans around the country for a list of their favorite current MLB players, McCarthy would not appear often. He has been a MLB migrant, spending time in Chicago, Arlington, Oakland, Arizona, New York, and now LA. He has never been an elite pitcher and he has been injured a ton over his career. So why would he be one of my favorites? Easy. He played with my college roommate in high school, spent several nights in college sleeping on the couch in our house, and is one of the best Twitter follows in MLB. Despite his natural inclination to play for teams I despise, I continue to cheer for BMac. Although the personal connection is reason enough to become a fan of the guy, McCarthy has provided plenty of other reasons to be on this list. While playing for the A's, McCarthy was struck in the head with a line drive. This accident was not just career-threatening; it was life-threatening. After months and months of rehab and uncertainty, McCarthy returned to the mound to pitch again. I am not sure that I would be able to stand on the bump again had I been in his situation. He also has embraced the statistical elements of the game; adjusting his approach to pitching based on what his research of the numbers revealed. ESPN did a great story on his belief in sabermetrics and the effect pitch analysis had on his performance. It also touches on his fanboy moment with Bill James, which is funny to me. His quirky personality shows through interviews as well, like this one from Buzzfeed and this Q and A with the Players Tribune. During the Q&A, McCarthy was asked "If you could go back in time and take back one pitch you threw, which would it be and why?" McCarthy responded, "Probably the one that was hit back at my head and required lifesaving brain surgery. If you still need to know why, please reread the previous sentence." 9. Jorge De La Rosa, SP - Colorado Rockies - As a Rockies fan, how could you not cheer for this guy? When the Rockies got JDLR from the Royals back in 2008, he was an inconsistent, emotional, and mentally fragile pitcher who had shown flashes of dominance followed by colossal on-field collapses. His inconsistency was the reason that he had been passed around among the Diamondbacks, Red Sox, Brewers, and Royals organizations. The Rockies' acquisition of JDLR made little sense as pitching in Colorado requires levels of mental stability that are not encountered in other parks and JDLR seemed ill-prepared for such an endeavor. A pitcher's mental makeup must be able to handle the fact that the size of the Coors Field outfield turns outs into singles and singles into extra base hits. It did not seem like a good match. All JDLR has done with his time in Colorado is become the all-time Rockies leader in wins, third in starts, and top 10 in almost all organizational pitching stat categories. The most important part of JDLR is his ability to win at Coors Field. Flipping through his home/road splits over the years, his numbers are better when pitching in the hitter-friendly confines of 20th and Blake. The volatile headcase that came to Colorado has been the Rockies' stable workhorse at the front end of the rotation. With all the real or perceived issues with pitching at elevation, JDLR should be applauded for what he has accomplished. 8. Troy Tulowitzki, SS - Toronto Blue Jays - A few years ago, this guy would have been at the top of the list - a superstar and one of the best players in baseball on my hometown nine. In his first year as General Manager of the Rockies, Jeff Bridich made the tough decision to begin his overhaul of the roster by trading Tulo to the Blue Jays for Jose Waste-of-a-Roster-Spot Reyes and pitching prospects. Tulo was unhappy with how the trade went down - apparently he was not aware of any trade discussions until after the trade occurred, even though the organization had previously told him that they would keep him in the loop. Because he was no longer on my team and because of Tulo's immaturity through the whole ordeal (it's a business, dude), my previous fan/player relationship has soured. Just in case we were unaware on how upset he was about the trade, he continued to complain about it and talk about the Rockies organization during this Spring Training. 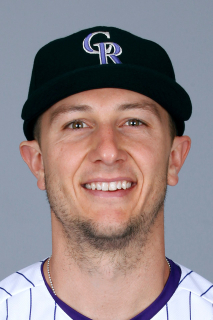 Even after removing my rose-colored glasses and seeing Tulo for the person he truly is, the facts are the facts. When healthy, Tulo remains one of the best baseball players on the planet. The guy plays fearless defense at a critical defensive position while also being an offensive juggernaut at the same time. This elite combination of offense and defense is a rarity in Major League Baseball. So he happens to be a cranky, overly sensitive crybaby who tends to shrink late in ballgames. He still is a rare talent and extremely fun to watch in either the top or the bottom of an inning. 7. Madison Bumgarner, SP - San Francisco Giants - We are seeing the end of pitchers being required to bat in the National League. As the pitcher position becomes more and more specialized, the NL will eventually adopt the designated hitter and we will no longer get the satisfaction of watching awkward, tall, skinny guys standing in the batter's box with the bat on their shoulders for three center-cut fastballs. Because this change feels eminent, we should enjoy all the #PitchersWhoRake while we can. Madison Bumgarner is the best hitting pitcher in the game and he takes us back to the era when pitchers were all-around baseball players. In the last two seasons, Bumgarner has hit around .250 with nine home runs. Nine home runs. From a guy who only plays once every five days. Juan Pierre did not hit nine home runs in his entire career. (While this is not true, Juan only hit 18 dingers over his 14 year career.) Bumgarner bat has made him a natural Silver Slugger recipient and has been the reason why his name is forever etched in the baseball record books. In 2014, Bumgarner and Buster Posey became the first battery to both hit grand slams in the same game. Bumgarner's grand slam was also his second of the season, becoming only the second pitcher in the last 100 years to accomplish that feat. I love watching the few remaining pitchers who still have a chance at the plate and Bumgarner is one of the best at doing just that. And for the other side of the ball? 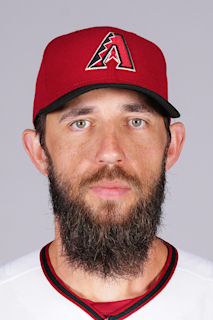 He just finished 6th in the NL Cy Young voting last season. 5. 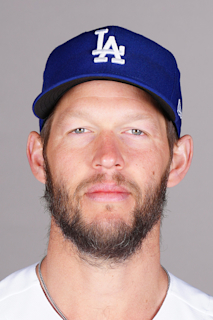 Clayton Kershaw, SP - Los Angeles Dodgers - For the sake of this post, please ignore Kershaw's less-than-stellar postseason performances. For today's discussion, we will focus on what Kershaw does during the 162 game stretch called the regular season. He dominates. Watching Clayton Kershaw on the mound is watching mastery in action. Hitter after hitter after hitter confidently slide into the batter's box just to make a rapid u-turn to head back to the dugout looking foolish. For his entire career, Kershaw's numbers are ridiculous. 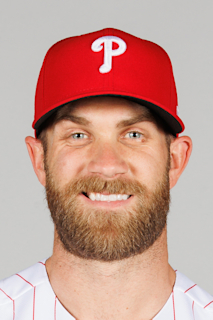 His career earned run average is 2.43, his career batting average against is .207, and his career walks and hits per innings pitched is 1.03. He also averages 218 strikeouts per year, which includes his rookie season when he only started 21 games. He was the best pitcher in the National League in 2014. 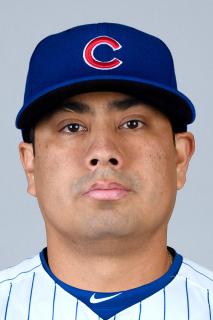 He was also the best pitcher in the National League in 2013. And 2012. And while Greinke probably pitched better than him in 2015 and Halladay was better in 2011, Kershaw's perch at the top of the heap has survived all challengers. Kershaw has outplayed every other pitcher in Major League Baseball over his 8 year career. At the age of 28, there is no reason why we should expect a drop in production from the Dodgers' ace. 4. Carlos Gonzalez, OF - Colorado Rockies - Smooth. How else can you describe him? (While applicable, I will not allow the descriptor of "injured" because I refuse to dwell on the negative in this post.) CarGo is smooth regardless of where he is on the diamond and what baseball activity he is undertaking. He chases down fly balls and runs around the base paths so quickly, yet it looks like he is barely exerting himself. He runs smooth. He has a cannon of an arm, throwing out base runners with a throwing motion that, again, looks effortless. His arm action is smooth. And his swing? Ahhh. . . I dream about swings as beautiful and smooth as Little Pony's left-handed stroke. Again, it looks like the effort is not there, but when his bat makes contact with the ball - BOOM. I watch CarGo in the batter's box with an expectation that something amazing is about to happen. And he does not disappoint, with exit velocity off his bat that are continually at the top of Major League Baseball. He hits the ball so damn hard. 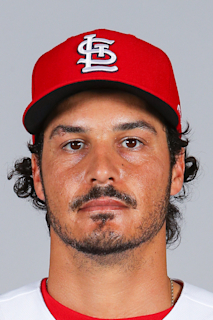 Gonzalez is an incredibly streaky player where he will have stretches of looking mortal only to be the best hitter in the world for a two month span. Back in 2010, I was watching the Rockies play a late July home game against the Chicago Cubs. CarGo had hit a single, triple, and double in his previous at-bats. Naturally, his spot in the lineup was due up first in the bottom of the ninth with the game tied at five. As CarGo dug his left foot into the back line of the box, you could hear the buzz of the crowd beginning to grow. We knew that this could be an amazing moment in Rockies' history. The first pitch from Sean Marshall was a fastball at the numbers and CarGo was not going to wait for another offering. The ball was still going up when it hit the future party deck on the fifth level. Not only did that home run win the game, it completed the sixth cycle in Rockies' history. If you were looking to build a complete five-tool player, you would essentially build a healthy CarGo. 3. Andrew McCutchen, OF - Pittsburgh Pirates - I am not a Pirates fan. I have no connection to Pittsburgh other than Sarah's grandparents hailing from an city a few hours outside of the city. 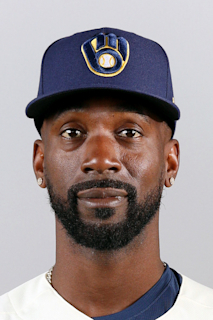 Yet for some reason, I have always gravitated toward Andrew McCutchen. Like CarGo, Cutch is that 5-tool player whose above-average skills at all facets of the game make him an elite major league player. But his talent is not why I love McCutchen. No, I love McCutchen because of the monumental impact that he had to an entire organization. For an extended period of time, the Pirates were a joke of a franchise. Not only were they continually out of playoff contention, they were cellar-dwellers in the National League. In 2005, they drafted McCutchen in the first round of the amateur draft. This signing signaled the beginning of a new era in Pirates baseball. When McCutchen worked his way to the major league level in the middle of the 2009 season, they were in the midst of a 99 loss year. In the years that followed, McCutchen became the centerpiece for the organization and the Pirates front office built a team around their talented superstar. In 2013, they finally snapped a 20 year playoff hiatus and have been in the playoffs for three years straight. McCutchen was the start of a complete transformation of the franchise. This level of impact is rare in a sport like baseball, which requires an incredible amount of depth at so many specialized positions. McCutchen was so good at his job and so great of a person that he was able to change the trajectory of his team. 2. 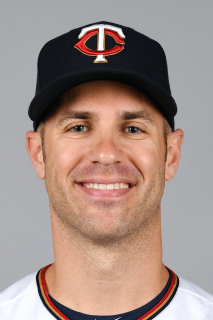 Joe Mauer, 1B - Minnesota Twins - Minnesota's native son and one of my many homer picks on this list, Joe Mauer joined the Twins organization as the first overall pick of the 2001 MLB draft. Instantly, Mauer became a fan favorite - a local kid playing on the hometown team. And he was worth the hype, mostly because of his swing. It is a thing of beauty. Whereas CarGo's smooth swing produces unreal power upon contact, Mauer's swing is purposeful and calm. A Mauer at-bat is a chess match between pitcher and hitter as he relies on his quick hands through the zone and his above average pitch recognition to waste bad pitches to find a pitch he can drive to the grass. The combination of physical quickness and a great batter's eye allows him to utilize the pitch location to his advantage: outside pitches go opposite field, center cut balls get muscled to the power alleys, anything thrown on the inside half chases the chalk in right field. Every at-bat is a chance for Mauer to get on base. Every at-bat results in a mental and physical battle between Mauer and the man on the bump. In this regard, Mauer's approach to hitting mirrors that of the great Todd Helton. A common problem with players on this list, Mauer's biggest knock is his inability to stay healthy. 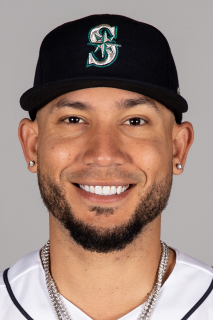 Moving to first base from behind the dish (and benefiting from the designated hitter position in the American League) has stifled some of his injury issues and he played in 158 games this past season. And just look at this swing. . .
1. Nolan Arenado, 3B - Colorado Rockies - Arenado is a middle-of-the-order bat that hits for average and power. Scouts throughout baseball have believed in his offensive potential throughout his minor league career. Where scouts also tended to agree was his questionable defense. A high school shortstop and catcher, scouting reports routinely identified a position shift to third base as a potential landing spot. Even with this position change, scouts were unsure as to how effective he could be at the hot corner. Looking back at those projections, the scouting reports could not have been more inaccurate. Even though his offensive numbers have surpassed his projections, Arenado has received more recognition for his outstanding defensive play at third base. Watching Arenado cover the hot corner is like watching web gems on a loop. Diving stops to his left and right, off balance throws across his body right to a stretching first baseman, throwing from weird positions like on his knees, making plays that no other third baseman can make. His reaction to the ball is so quick, his throws to first are strong regardless of how he is throwing the ball, and his range is just ridiculous. In this video of his top 20 defensive plays, #6 is one of my favorites. He dives for a ball, runs to third for the out, then still gets the ball across the diamond to complete the double play. Watching Arenado play defense is exactly why he is my favorite active player. As Drew Goodman says after yet another brilliant play, "That kid can flat pick it!"